(Milton, Ont. 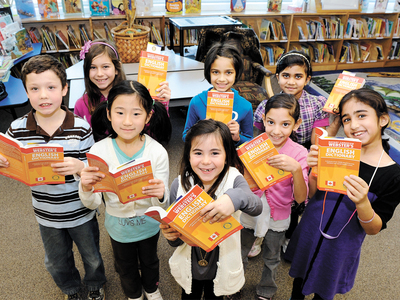 : 2 February 2012) – The Milton Rotary Club's annual literacy project is now underway and every Milton Grade 3 student will be the beneficiary. Local Rotarians are currently visiting every public school in Milton and hand delivering free dictionaries. The campaign is just one of many iniatives focused on Milton youth. “We are honoured and grateful that the Halton school boards have once again decided to help us help the youth of Milton by granting us the opportunity to present these dictionaries,” said Rod McLachlan, Rotary Club of Milton public relations coordinator. "By providing dictionaries to Grade 3 students not only are we able to promote literacy for these children, but in many cases it directly helps entire families whose first language is not English." The distribution of dictionaries is currently underway at Milton public schools. A second phase is planned and will roll out at Catholic board schools in the coming months.